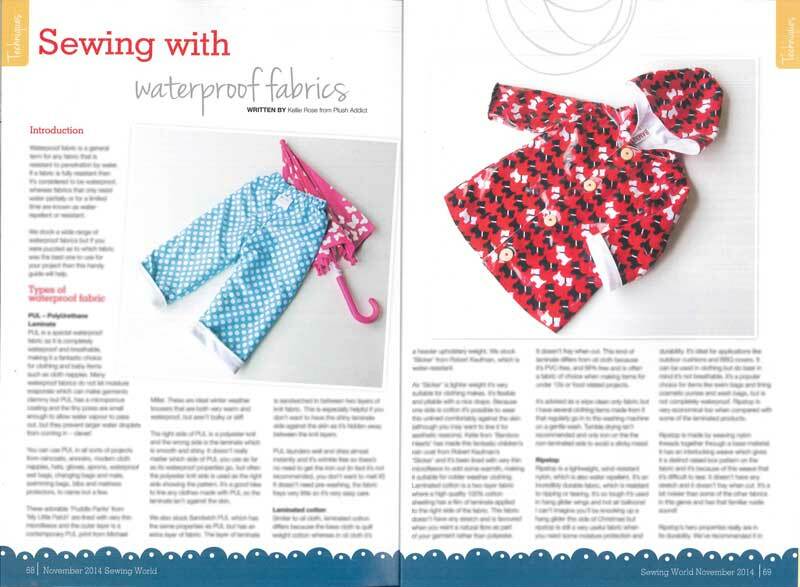 A very chuffed Plushette here once again to let you know that I’m in Sewing World Magazine again this month talking about waterproof fabrics. It’s another jam-packed issue I am finding the Vilene series in particular very informative indeed and there’s also an excerpt from Lauren Guthrie’s new book too which is a tutorial on how to make a big weekend bag. 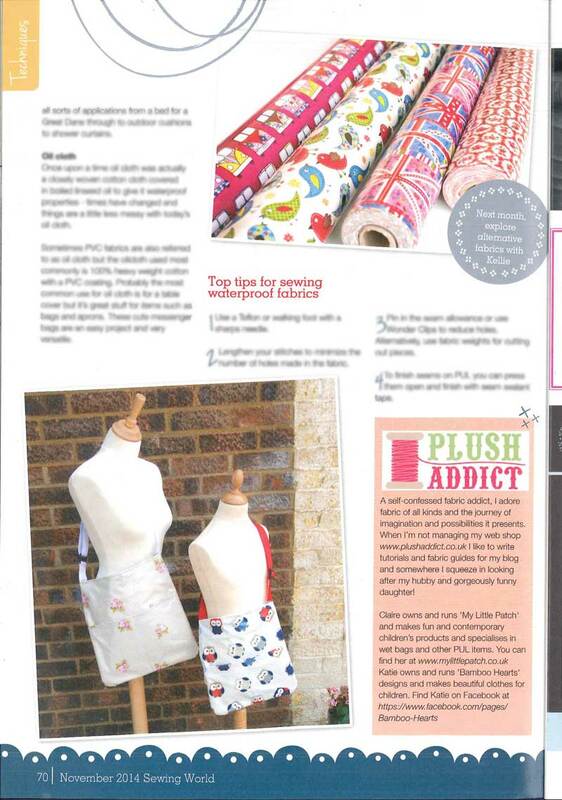 This is my third article for Sewing World (eeek! ), you can read about the two here and here. Don’t forget there’s a discounted subscription offer available for Plush Addict customers. You can get a 12 month subscription for only £39.99 (that’s a saving of £19.89) use the code PLUSH14 at check out here. Grab yourself a copy and sit down for a good read with a cuppa, I’m in the “Techniques” section. You can also get your mitts on this magazine at WH Smiths. 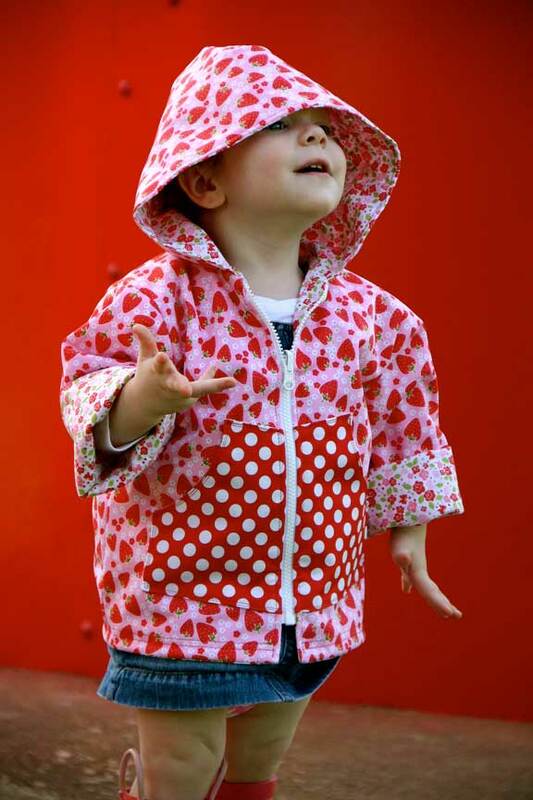 Next month is the last in the series and I’ll be writing about natural alternative sustainable fabrics. I’ve really enjoyed writing this series and I’m looking forward to doing a bit more writing in the New Year once the Christmas mayhem has subsided at Plush Towers a little. I hope you enjoy it!